The Admiralty, in business since 1993, offers an amazing array of nautical themed gifts, jewelry, art and home decor. 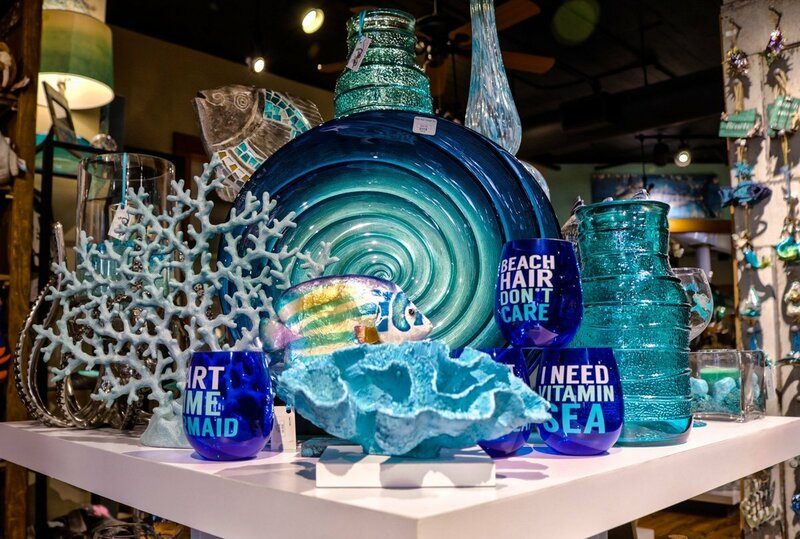 Spectacularly merchandised in ocean hues, the Admiralty features upcycled glass lamps, paintings, sculptures, pillows, scented candles and more. A destination for the whole family, find beautifully displayed butterflies, plush and snuggly sea creatures, puzzles, games, and more. We offer our most requested and always-available products online, but you have to visit the store for the rest as it is ever changing! Or come visit us on the strand!